If you are looking for something different and effective, let's check out SJ Kay. 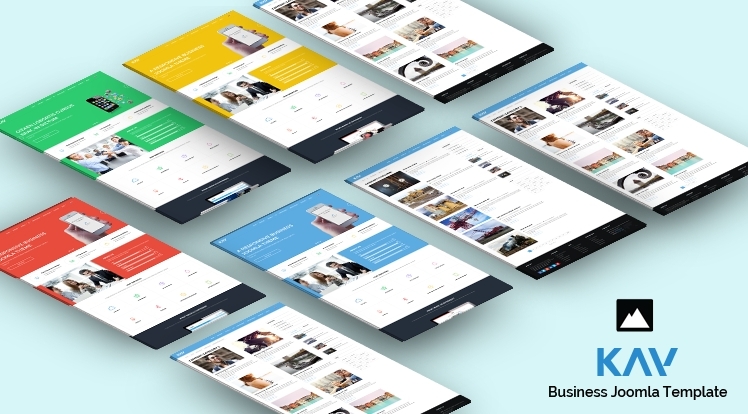 SJ Kay is a Responsive Business Joomla Template which is powered by YT Framework v3 with Bootstrap 3 in core. SJ Kay comes with many great features: responsive layout, powerful mega menu and smart search, K2 blog and portfolio, awesome contact ajax forms, 6 modern color styles, boxed and full width layouts, convenient front-end C-panel, lots of shortcodes, 10+ bonus pages and many more advanced features. SJ Kay Joomla Templates is designed with a friendly back-end interface that makes it easy to customize. It can be used for business and corporate sites as well as your creative portfolio or blogging site. It will perfectly promote your work or your business. Let's take a look on the detail blog. You will love it at first sight!